The Plain Truth: Evolution is a Myth- a creation of socialist and is easily disproven! The Pope is showing signs of the end times Papacy which will, as we read in Revelation become the antichrist which will give rise to the Beast known as: The King of the North. Science and religion get placed on either side of a spectrum, with a section in the middle for those who’d like to hedge their bets. On Monday, the pope outlined his belief with respect to God and evolution. Speaking to the Pontifical Academy of Sciences, Pope Francis insisted that there was no reason to believe that God and evolution were somehow incompatible. It’s just, he suggested, that God came first. The Real Reason Why America is Exceptional. The Truth Will Save You! Someone once asked me, "Bob how can you say in one breath that God has little to do with this world, yet then say that the USA is one of the lost nations of Israel? In addition, that if we do not obey God, our nation will be destroyed by him? Which scenario is it: Is God involved or is this Satan’s world?" I am quite sure that many have asked themselves the same question and let me assure you that there is an easy answer! God was totally involved in our world in the days of Adam and Eve. He (The God of Adam was the member of the Godhead who became Jesus Christ. The term LORD in the Old Testament almost always refers to Jesus' title before he became a man. Just read the first Chapter of the Gospel of John for proof) personally walked with Adam and Eve, talked with them and instructed them how to live in a godly manner, which if they had listened, they would and have lived forever. Jesus had every intention to be involved in our lives from the start, just as any human parent would want to do with their children. Then, according to scripture, sin entered the world through Adam and Eve’s disobedience to God. There is only one biblical definition of sin. It simply is: "Sin is the transgression of the Law." (1 John 3:4) Without the Law, sin isn't possible! (Romans 3:20 and Romans 7:7). Paul says, “What shall we say then? Is the Law sin? Certainly not! On the contrary, I would not have known sin except through the law. For I would not have known covetousness unless the law had said, “You shall not covet.” When Adam and Eve broke God’s Laws, they sinned. The Bible also gives us another term: "The wages (or penalty) of sin is death." ( Rom 6:23) Wages are what we earn for our hard work. In this case, our hard work of sinning earns us the sum equaling DEATH! That's the minimum wage I want to stay far away from! Breaking the laws of God, brings death! Therefore, Adam’s sin brought death to not only himself, but to all born from his seed. For many people it started with Hurricane Katrina and the destruction of New Orleans and the awful aftermath. For those who live in the inner city they've experience this feeling for over 30 years now. However most of us have only recently experienced what I am going to talk about. Many think it started with Obama, and the Democrats. It did start with the Liberal Democrats I agree, but has gone all over the face of Americanism today. Many of you who follow my writings on The Plain Truth often see that I call stupid people products of EOE. I've had a few write me or ask me what do I mean by that. EOE stands for equal opportunity employment, and it goes to the liberal idea that we are to give people jobs because of their my Minority status and not because of their skill. To be honest this did not start with Barack Obama, it started long ago with the PC environment of giving people jobs they did not deserve and then promoting those people up the chain of command. Anyone who has worked for big business or big government in the last 20 or so years has seen this as an everyday part of their life. That is following orders from absolute morons who don't have a clue of what they are doing. This is why I don't have a problem with McDonald going to Jail. CROOKS allow our highways to be sold to THIEVES and we get robbed! Every weekday, Joe Mischler commutes from Maryland to Virginia on the beltway and uses the 495 Express Lanes. He pays the tolls with his E-ZPass account, which is deducted automatically from his credit card . So Joe was stunned when he got a staggering $17,000 fine for $36 in unpaid tolls. He tried to resolve the problem directly with Transurban, which manages the lanes for Virginia. But Joe could not get any resolution from the company, and facing a looming court date, he came to us for help. “I'm frustrated beyond words,” Joe said. Standing outside Joe's office building in Alexandria, I asked him what frustrated him the most. In a must-win situation, Brad Keselowski advanced to the Eliminator Round by winning the GEICO 500 at Talladega Superspeedway on the second attempt at a green-white-checkered finish on Sunday. Keselowski was sent to the back of the field earlier in the race after being penalized for having too many men over the wall on a pit stop following a wreck. He led just 12 of the 194 laps, but soared to the front late. Matt Kenseth finished second behind Keselowski, and also advanced to the Eliminator Round in the Chase for the NASCAR Sprint Cup. The top five also included Clint Bowyer, Landon Cassilland Ryan Newman. The four drivers eliminated from the Chase after Talladega are: Kyle Busch, Jimmie Johnson, Dale Earnhardt Jr., Kasey Kahne. The eight drivers advancing to the Eliminator Round are: Joey Logano (Won at Kansas), Kevin Harvick (Won at Charlotte), Brad Keselowski (won at Talladega), Jeff Gordon, Carl Edwards, Denny Hamlin, Ryan Newman,Matt Kenseth. For the eight drivers advancing to the Eliminator Round, their point totals will be reset to 4,000. For the four drivers that are eliminated from the Chase field, they will see their point totals reset to the Chase-start base of 2,000 plus any bonus points for regular-season wins and the additional points they have earned in the Chase. My stint as an amateur archaeologist began one morning on the southern slope of Mount Scopus, a hill on the northern outskirts of Jerusalem. Inside a large hothouse covered in plastic sheets and marked “Temple Mount Salvage Operation,” a woman from Boston named Frankie Snyder—a volunteer turned staffer—led me to three rows of black plastic buckets, each half-filled with stones and pebbles, then pointed out a dozen wood-framed screens mounted on plastic stands. My job, she said, was to dump each bucket onto a screen, rinse off any soil with water from a garden hose, then pluck out anything of potential importance. Gradually, I got the hang of it. I spotted the handle of an ancient piece of pottery, complete with an indentation for thumb support. I retrieved a rough-edged coin minted more than 1,500 years ago and bearing the profile of a Byzantine emperor. I also found a shard of glass from what could only have been a Heineken bottle—a reminder that the Temple Mount has also been the scene of less historic activities. The odds and ends I was gathering are the fruits of one of Israel’s most intriguing archaeological undertakings: a grain-by-grain analysis of debris trucked out of the Temple Mount, the magnificent edifice that has served the faithful as a symbol of God’s glory for 3,000 years and remains the crossroads of the three great monotheistic religions. Tim Clark, CEO of Emirates Airlines, has a couple of theories about doomed Malaysia Airlines Flight 370, which disappeared in March. First off, Clark — whose airline is the largest operator of 777s, Flight Club noted — has said Flight 370 might not be in the Indian Ocean at all. 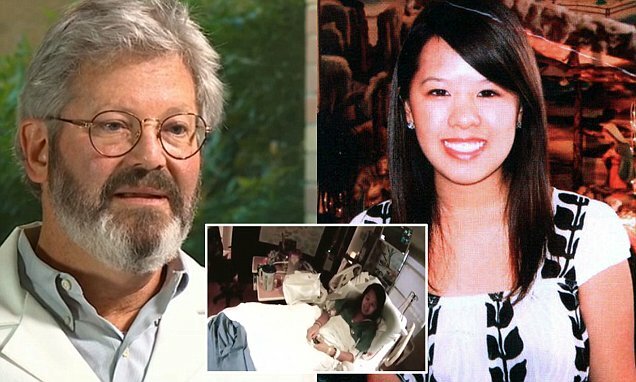 Dr Gary Weinstein (left) worked alongside 26-year-old Nina Pham (right and, inset, in hospital after her diagnosis)to treat Thomas Eric Duncan, who was rushed to Texas Health Presbyterian Hospital with Ebola symptoms on September 28. He said his colleague was petrified when she realised she had been infected with the deadly virus, saying: 'She risked her life to care for a patient, and now she was afraid for her life.' But he added: 'I think once she got over the initial fear and concern and was surrounded by her friends and colleagues, that was comforting. She did remarkably well, emotionally.' According to the latest figures, the Ebola death toll has now struck 4,546. Amber Vinson, 29, was diagnosed with Ebola on Wednesday after helping to treat victim Thomas Eric Duncan at Texas Health Presbyterian Hospital. Texas Health Presbyterian Hospital in Dallas, Texas, has become a 'ghost town,' with patients afraid to go in after one man died of Ebola and two nurses contracted the deadly virus. Dr Charles Haas, of Drexel University, writes in his recently published research paper there is up to a 12 per cent chance that Ebola incubation could last longer than 21 days. U.S. soldiers at Fort Campbell and Fort Bragg are given just fours hours' training on how to protect themselves against Ebola before being deployed to Liberia, West Africa. An example this week came in the dialogue between Megyn Kelly of Fox News andThomas Frieden , director of the Centers for Disease Control. Is this where EBOLA also came from? This article regards a matter of global urgency transcending better known AIDS threats. It describes a universal challenge posed by ever increasing numbers of plagues predicted to depopulate at least half of the world’s current human inhabitants within two generations. This documented science virtually proves, through the process of elimination and a review of the most updated evidence, the origin of HIV/AIDS as an iatrogenic (i.e., man-made) outcome of specific vaccination experiments. dysfunctions, autoimmune diseases, and cancers, including leukemias, lymphomas, sarcomas, and other ailments linked to viral infections, have resulted from previously engineered microbes that have by accident or intent found their way from cancer virus laboratories into humanity’s bloodstream by way of the most trusted public health preventative—vaccinations. Ebola and hiv (aids) are man made viruses bioengineered in american laboratories! Are pills containing frozen POO the key to beating hospital superbug? Vaccine Pusher's Get Hit With YET ANOTHER VACCINE SCIENCE SCANDAL. Just an FYI- I reported this on our siuster site RaceRap.com - 8 YEARS AGO... People laughed. 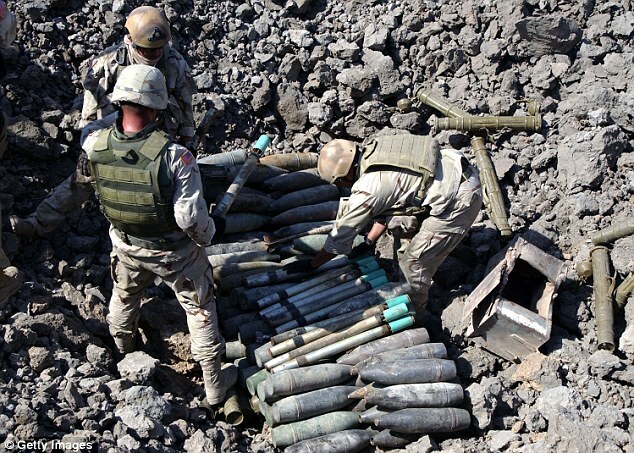 About 5,000 chemical weapons were recovered or destroyed in Iraq following the 2003 invasion but the Pentagon chose to keep the findings top secret, it has emerged.An investigation by The New York Times has revealed that U.S. forces happened across the hidden caches of warheads, shells and aviation bombs between 2004 and 2011.But the information wasn't made public as embarrassingly the weapons, many of which had been built in close collaboration with the West, had been sitting dormant since the 1980s and so didn't support President George W. Bush's rationale for going to war. At least 17 American troops were also seriously injured discovering and attempting to destroy the deteriorating shells filled with nerve and mustard agents. But all the weapons found had been developed before 1991. Most of them were mustard agents in 155-millimeter artillery shells or 122-millimeter rockets developed by Hussein during the Iran-Iraq war which raged between 1980 and 1988. The National Park Service has acquired a rare Civil War-era photograph of an enslaved woman who helped save Confederate Gen. Robert E. Lee's home in Arlington, Virginia. 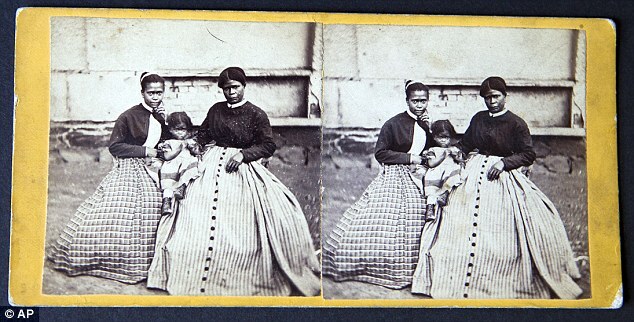 The previously unknown photograph depicts Selina Gray, the head housekeeper to Lee and his family, along with two girls. The photograph was unveiled Thursday at the Arlington House plantation overlooking the nation's capital that was home to Lee and dozens of slaves before the Civil War. On Track Problems between Denny Hamlin and Brad Keselowski resulted in post race confrontations between the two, Matt Kenseth and even Tony Stewart. Hamlin and Keselowski made contact with one another on the cool down lap. Upon entering pit road Keselowski made contact with the side of Hamlin’s teammate Matt Kenseth, as well, who was already unbuckled in his car. The move angered Kenseth. Keselowski’s No. 2 car also made contact with Tony Stewart. Upon being hit Stewart put his car in reverse and back into the front of Keselowski’s car destroying the front end. Why does it seem like the all-powerful God is powerless in a world of hate, suffering and anxiety? You need to learn the amazing answer! You can sense it in society—angst, anxiety, anger. We're flooded with bad news. We turn on the television, and we're inundated with images of the most recent country to be hit by a tsunami or more violence in the Middle East. Our friends tell us of the stories they read about how the United Nations is going to take over the world. Radio talk show hosts rant about hordes of illegal immigrants and the collapse of health care. See The 3 Rs Introduction article for an overview of the three biblical principles of Refreshment, Rejoicing, and Remembering as they apply to the observance of the biblical Feasts and Holy Days. The rest of the articles in this series on The 3 Rs provide specific, practical suggestions for building those 3 Rs into these observances. A Formula 1 driver has been seriously injured after crashing into a recovery vehicle in rain-soaked conditions in the Japanese Grand Prix. The race was cut short by nine laps as Marussia driver Jules Bianchi dramatically crashed out at the same site as Adrian Sutil's Sauber - which had aquaplaned off the track and was being recovered by marshals and machinery at the time. Unconscious Bianchi was taken to Mie University hospital, 10 miles away, and the race was stopped on lap 46. Bianchi’s father has since told French television that his son's condition is 'critical' and he is undergoing surgery for head injuries. Raging wildfires across California this week forced thousands of residents to evacuate their homes. Firefighters are struggling to contain 12 major wildfiresburning across the golden state. Hundreds of thousands of acres of forestland have burned in the fiery infernos. Traditional pilgrimage ceremony of the Samaritan sect marking the holiday of the Tabernacles, or Sukkot, on Mount Gerizim near the West Bank town of Nablus October 22, 2010. The Bible is very plain about death from diseases, and especially mass human deaths from epidemics. In human history, we have had worldwide flu outbreaks that destroyed millions of lives, we had the black death of Europe in the middle ages, when upwards to 25% of all people living in the area died from the bubonic plague. And let me make this clear right from the start, the Bible predicts hundreds of millions, if not a billion deaths from diseases during the coming tribulation that Jesus predicted would occur right before His return. In Matthew 24:7, Jesus said, “There shall be famines, and pestilences [strange diseases], and earthquakes in diverse places.” Do we see famines today? 10,000 people a day, or more than 3.5 million people per year die of starvation. Starvation and other effects of poverty lead to disease. Strange diseases are running rampant? Some diseases are becoming resistant to antibiotics. And new diseases appear for which science has no cure, AIDS, Mad Cow disease, the Ebola virus. Penicillin does work as well as it did at first in killing the bacteria normally associated with a variety of diseases which were devastating in the past. Diseases are now increasingly immune to the potency of the drugs used to combat them. They are actually growing and thriving in some bodies in a way that drugs cannot cope with. Medical authorities are seeing on the horizon a major catastrophe, or catastrophes plural, if new means cannot be found to cope with emerging mutant diseases. Richard Nixon had some pretty strange moments as president -- an Oval Officemeeting with Elvis Presley during which the pill-addled singer lobbied to be deputized as a federal agent-at-large in the War on Drugs; Nixon's declaration to a roomful of newspaper editors at the height of the Watergate scandal, "I am not a crook;" Nixon asking Henry Kissinger to kneel down and pray with him and then bursting into tears the night before he resigned. But perhaps the most bizarre moment of the Nixon presidency took place in the early morning hours of May 9, 1970, during which Nixon, with his faithful White House butler in tow, made an impromptu visit to the Lincoln Memorial and engaged in a rambling dialogue with student protestors. The incident took place at a tumultuous time in the Nixon presidency, shortly after the invasion of Cambodia and the resulting explosion of outrage on college campuses, culminating in the killing of four students at Kent State University on May 4. Nixon's erratic behavior during the Lincoln Memorial visit would have even his closest aides wondering if the president was losing it. Nixon's Chief of Staff H. R. Haldeman would write in his diary hours after the Lincoln Memorial visit, "I am concerned about his condition," and note that Nixon's behavior that morning constituted "the weirdest day so far." 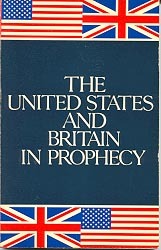 You may have noticed how often the Trumpet encourages readers to study The United States and Britain in Prophecy. 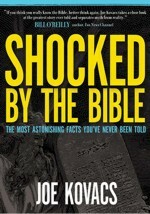 Of all the literature we publish, this book is the most important for understanding world events and Bible prophecy. Together with the Bible, it forms the prophetic foundation of this magazine. The United States and Britain in Prophecy explains the origins of the United States, the British Commonwealth and the Jewish nation of Israel. Herbert W. Armstrong, the book’s author, showed that these nations are the descendants of ancient Israel and therefore the inheritors of the extraordinary promises God made to Abraham, the father of Israel’s patriarchs. Among the many proofs of Israel’s modern identity and location, Mr. Armstrong explained how the “lost 10 tribes of Israel” left the Levant in the eighth century B.C. and migrated through Europe and into the British Isles. From there, descendants of the tribe of Manasseh later departed for America (“new Israel,” as many of them called it) and formed what became the United States of America. Many people contest the idea that the Bible can provide insight into the identity of nations and international relations. But the facts in The United States and Britain in Prophecy are validated by science, by rational argumentation, and by convincing empirical evidence. Here we will look at some tangible evidence, not only historical documents, but actual artifacts—multiple giant features that one can visit and touch—showing that the lost 10 tribes of Israel migrated from the eastern Mediterranean, through Europe, and into the British Isles. Did the Bible Predict that Jews today would be called Israel?